In recent years Brazil has taken its ambitions of becoming a global power to the next level. The Portuguese-speaking giant has experienced major economic and social development over the past decade. As a result, it enjoys a strong military and growing influence both in the geographically defined Western Hemisphere and other regions of the economically defined Global South. Moreover, Brasilia has strongly lobbied for a permanent seat in the United Nations Security Council (UNSC), having already achieved backing from several nations and multinational blocs. It is no surprise that the country stands as the natural candidate to become the representative of Latin America and the Caribbean in the UNSC should structural reform ever occur. Furthermore, Brazil will ambitiously host two major sporting events in the coming years, these will be the 2014 FIFA World Cup and the 2016 Summer Olympics in Rio, which, if successfully organized, will enhance Brasilia’s credentials as a rising global power. Nevertheless, it is necessary to highlight that not all is well in the Portuguese-speaking giant. Public security continues to be a matter of great concern, along with cases of corruption among high governmental levels. Perhaps even more worrying, the country’s economic growth rates appear to be stalling, which may signal the beginning of a potentially catastrophic burst of the “growth bubble” in the near future. Problems aside, Brazil has been placed in an elite club of rising global powers known as the BRICS, an acronym drawn from the names of its member states: Brazil, Russia, India, China and, most recently, South Africa. In this report, we will focus on the implications of Brazil’s relations with each of its fellow BRICS countries. The acronym ‘BRICS’ started as an abstraction created by Jim O’Neil, a financial analyst at Goldman Sachs, in a 2001 research paper. No formal alliance originally existed among these nations prior to O’Neil’s research. His study, in fact, actually helped to promote the idea of closer ties between these countries. 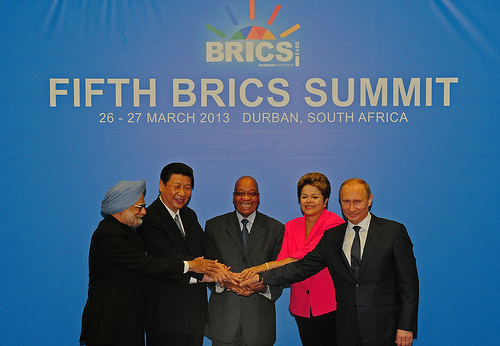 The BRIC’s (sans South Africa) inaugural summit took place in the Russian city of Yekaterinburg in 2009. A plethora of articles have been written about the BRICS nations since then, but a clearer picture can still be painted regarding inter-BRICS relations. It is worth noting that to a considerable degree fractionalization already exists within BRICS as Brazil, India, and South Africa have created a loose alliance known as IBSA (another acronym of the three nations’ names). The IBSA bloc predates BRICS as it was originally created back in 2003 and already has held several meetings. IBSA has even staged joint military exercises. But as with BRICS, IBSA is far from being a united bloc in spite of common foreign policy objectives among its three members (i.e. pushing for UNSC reform). The three-nation group will host its sixth summit this coming June in New Delhi. In other words, given the diverging foreign policy interests among the BRICS nations, including military, political, and cultural tensions among them, we should have realistic expectations of what this entity could become. It most likely will not become some kind of trans-continental security alliance, a la NATO. Perhaps at best, we could see the appearance of several joint financial and commercial projects, making the group a greater force in the international financial system. The following sections will provide a more in-depth analysis of Brazil’s relations with fellow BRICS nations particularly from an economic stance. Brazil and Russia have enjoyed over 180 years of peaceful but modest diplomatic relations. The history of these ties is long and generally uneventful, however they were substantially strengthened following the fall of the Soviet Union and the subsequent birth of the Russian Federation. It has only been in the last two decades that this bilateral strategic partnership has been pursued in a consistent manner. The many agreements signed by both countries, such as the Brazil-Russia Cooperation Treaty (1997), the Brazil-Russia Military Technology and Transfer Pact (2003), and the Brazil-Russia Strategic Alliance (2005) are but a few of the examples of their increasing cooperation. Today, Brazil is Latin America’s largest trading partner with Russia, and one of the leading suppliers of agricultural products and consumer goods. The two countries avidly advocate for a permanent position in the UNSC for developing countries as they both believe the UNSC should be more democratic, legitimate, and representative. The G4 (a loose political alliance between Brazil, Germany, India, and Japan) is believed to be an innovative way to achieve this goal. Brazil and India are also involved in the IBSA initiative. IBSA, as well as BRICS, should be a great tool to advance economic growth and diplomatic understanding between the countries. Chinese investments in Brazil are concentrated mainly in the energy, mining, steel, and oil industries. Beijing’s investment portfolio infuses the Brazilian economy with capital and a huge growth potential, but often encourages questionable practices as well as unfortunate consequences. The country’s interest in raw materials benefits a few big Brazilian suppliers, but in turn exports back cheap manufactured goods which undercut Brazilian rivals both in domestic and regional markets. This deindustrialization trend happens not only to Brazil, but to all of China’s trading partners in Latin America. 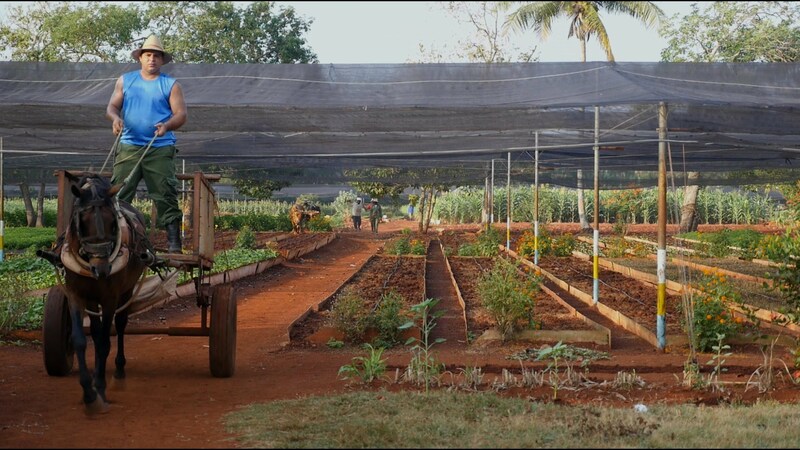 In addition to deepening Latin America’s dependence on the export of natural resources, many have good cause to grieve over the corrupt Chinese practices of buying up land from peasants and paying below-industry wages. Despite generally having a friendly and relatively close trade relationship with China, Brazil has publicly criticized many of Beijing’s policies, especially in regards to the so-called Currency War. 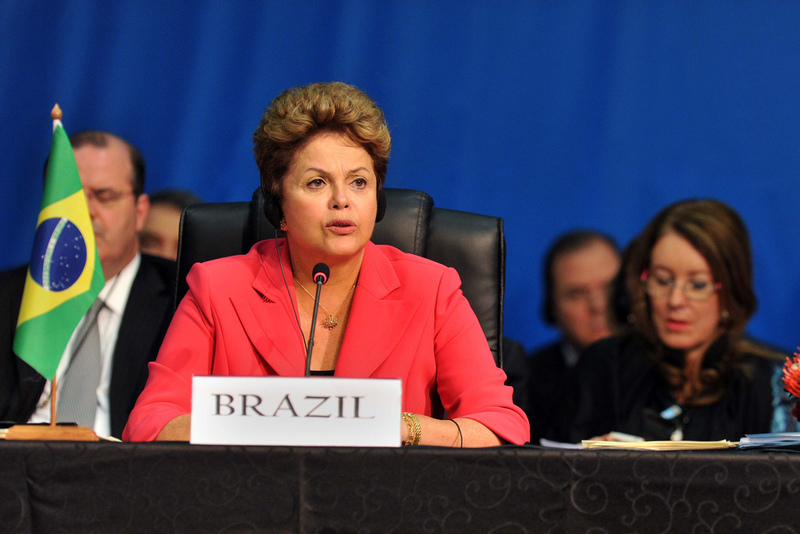 Brazil has also criticized U.S. policy, advocating against escalating economic tension concerning trade and currency. Although many believe China is using economic diplomacy in Latin America to undermine or threaten the United States, as well as the relatively recent Latin American return to democracy, that hypothesis has yet to be proven correct. 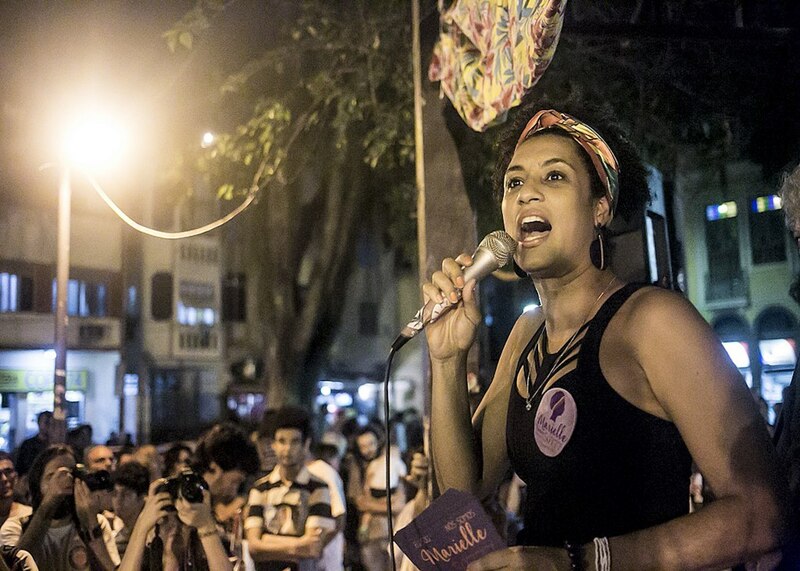 Brazil’s well-established, working democracy is not threatened by China’s ideology. Still, China’s presence may affect political and economic developments in other parts of Latin America in terms of how to hone productive cooperation among China, the United States, and Latin American nations. Stanford University Research Fellow William Ratliff argues that although it is a constant challenge to get China and the United States to get along, so far in Latin America they have done relatively well. Nevertheless, the meeting of the two nations has been complicated by the Latin American countries that require this engagement. The region’s particular characteristics could either draw China and the United States into greater cooperation or worsen the relationship, depending on Latin America’s readiness and its capacity to mediate between Washington and Beijing. 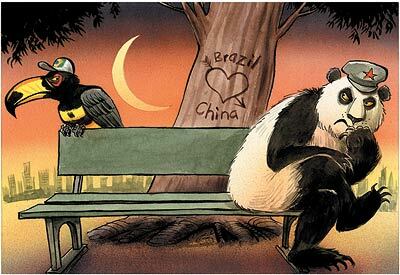 The relationship between Brazil and China is obviously a profitable one; the only question remaining is whether or not Brazil and the rest of Latin America will ensure this will be a mutually profitable relationship rather than one skewed towards China’s interests. In a 2012 SAIIA publication, the think tank explained that “it is, firstly, not clear what South Africa’s motivation for joining the BRICs is and what it seeks to gain from its membership. It is also not evident what South Africa’s strategy towards the BRICs is, and how this fits into the country’s wider global strategy.”  In addition, SAIIA’s Dr. Mzukisi Qobo and University of Cape Town’s Dr. Mills Soko discussed how South Africa’s BRICS membership will affect the aforementioned loose IBSA alliance. With regards to the Brasilia-Pretoria relationship, relations remain in good shape, in spite of the aforementioned “chicken war.” Even if the IBSA and BRICS do not create a united bloc, they have arguably helped bring both governments closer together. Brazil is Latin America’s rising star and it certainly has ambitious policy goals, such as a permanent seat in the UNSC to go along with its rising status. With that said, its relations with its fellow BRICS nations, while strong, cannot be compared to the exemplary rock solid alliance between the United States and the United Kingdom, which is dubbed as the “special relationship.” It is preposterous to assume that close diplomatic and commercial relations, along with some military arms sales, translate into a military alliance between Brasília and Beijing, or Brasília and New Delhi. Military issues are not at the center of the BRICS initiative – naval exercises between the IBSA nations notwithstanding. Non-idealistic analyses of BRICS’s future see the loose grouping, as a commercial-oriented bloc to increase inter-BRICS trade and perhaps achieve some kind of unified stance on foreign policy issues. The underlying goal would be to challenge Washington’s supremacy over the global economic order. Nevertheless, the fact that BRICS failed to agree on the creation of a development bank in South Africa gives validity to the idea that this alliance is still made up of governments, which have clear foreign policy goals and may not “give in” to the aspirations of other group members in order to promote the group’s unification. 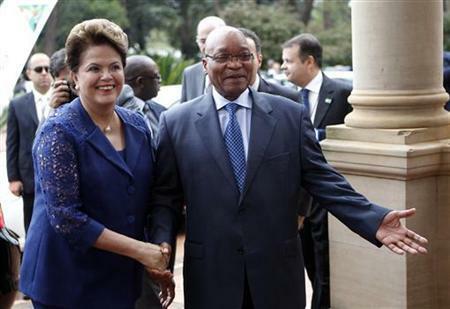 As for Brazil’s relations with each BRICS member, they have been generally positive in spite of occasional incidents such the “chicken war” with South Africa or the dispute with fellow BRICS nations over the headquarters of the group’s development bank. Nevertheless, as long as Brazil’s economy continues to grow and its domestic politics remain stable, it should easily find willing trade partners in Pretoria, New Delhi, Beijing and Moscow. As an addendum to this analysis, Guido Mantenga, Brazil’s Minister of Finance, has declared that the BRICS heads of state and ministers of finance aim to have the final details of the proposed BRICS development bank finalized in 2014. It will be interesting to see if this a premonition that comes true, signaling that Brazil and fellow BRICS nations can agree on major projects, or if this will be just another in a list of empty promises. W. Alejandro Sánchez, “Building Support for Brazil’s Bid at the UNSC,” Atlantic-Community.org, April 4, 2013, http://bit.ly/14RMUch. Burges, Sean. COHA Senior Fellow. E-mail interview with the authors. April 18, 2013. Phillips, Nicola. “Re-Ordering the Region? China, Latin America and the Western Hemisphere.” European Review of Latin American and Caribbean Studies/Revista Europea de Estudios Latinoamericanos y del Caribe.90 (2011): 89-99. Ratliff, William. “In Search of a Balanced Relationship: China, Latin America, and the United States.” Asian Politics & Policy1.1 (2009): 1-30.